Synopsis: Laparoendoscopic Single-Site Surgery (LESS) and Natural Orifice Transluminal Endoscopic Surgery (NOTES) are based on the premise that patients should benefit in terms of recovery time, physical discomfort, pain, and cosmesis if a surgical procedure can be performed without visible scarring. 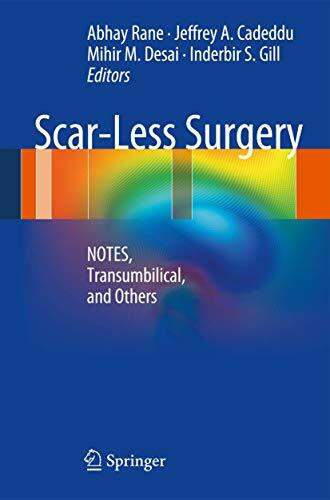 Scar-Less Surgery: NOTES, Transumbilical, and Others is a multi-disciplinary effort which weaves together the surgical aspects of these novel techniques. It is the first comprehensive reference on the subject providing state-of-the-art technical information to both general and urologic surgeons while also highlighting future developments and research needs.